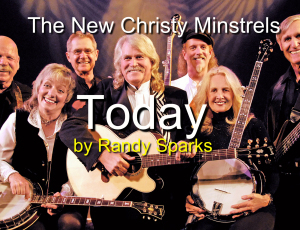 The New Christy Minstrels are an American folk music group founded by Randy Sparks in 1961. They recorded over 20 albums and had several hits, including “Green, Green”, “Saturday Night” and “Everybody Loves Saturday Night” (two different songs), “Today”, “Denver”, and “This Land Is Your Land”. Their 1962 debut album, Presenting The New Christy Minstrels won a Grammy Award and sat in the Billboard charts for two years. The group sold millions of records and were in demand at concerts and on television shows.They also launched the musical careers of several musicians, including Kenny Rogers, Larry Ramos, Gene Clark, Kim Carnes, and Barry McGuire.